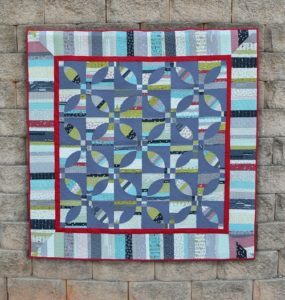 Working with stripped piecing and curved piecing can be a challenge, but students will learn to tackle a simple Drunkard’s Path block to create a dynamic quilt for maximum impact. Project: The project will create a Stripper’s Knot quilt, 65 x 65”. The Stripper’s Knot quilt is a variation of the Lover’s Knot pattern, with a stripped strata to add interest.